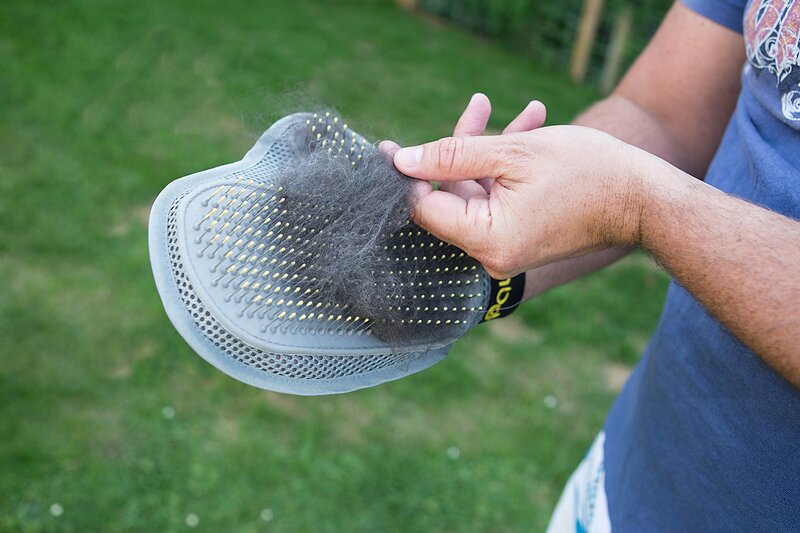 • THE ULTIMATE FUR DESHEDDER + FREE GIFT: Removes loose thick hair and fur off dogs, cats and other thick haired animals. Each pack will also contain a FREE dog whistle which is a key accessory to have when teaching your dogs obedience. 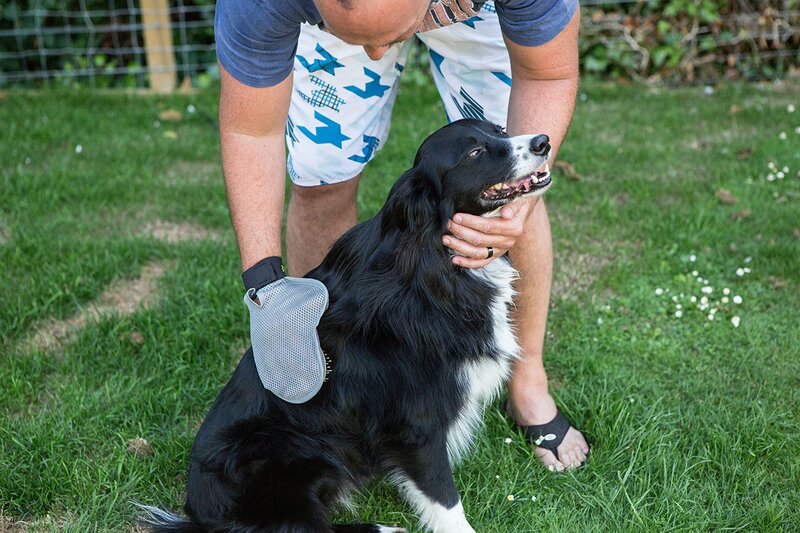 • HIGH QUALITY & DURABILITY: A highly durable one size fits all glove for the ultimate pet message which also helps them to relax and get that human feel touch. 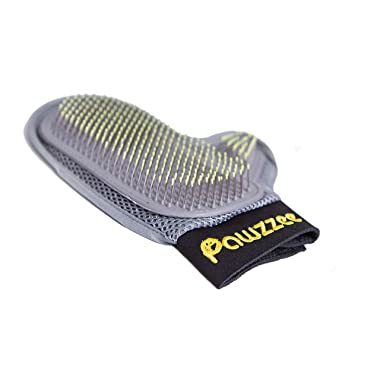 • PET GROOMING IMPORTANCE: If your pet suffers from knotted hair, then our Pawzzee glove is the ideal solution to help them to maintain a knot free shiny coat of fur and keeps them looking healthy. The natural-like touch it provides will also make most pets almost oblivious to the fact that you are actually grooming them. 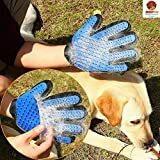 • WATERPROOF PROTECTION: Ideal to use for bathing your pets to get that deep message clean and to get rid of additional loose hair for a shiny coat finish. 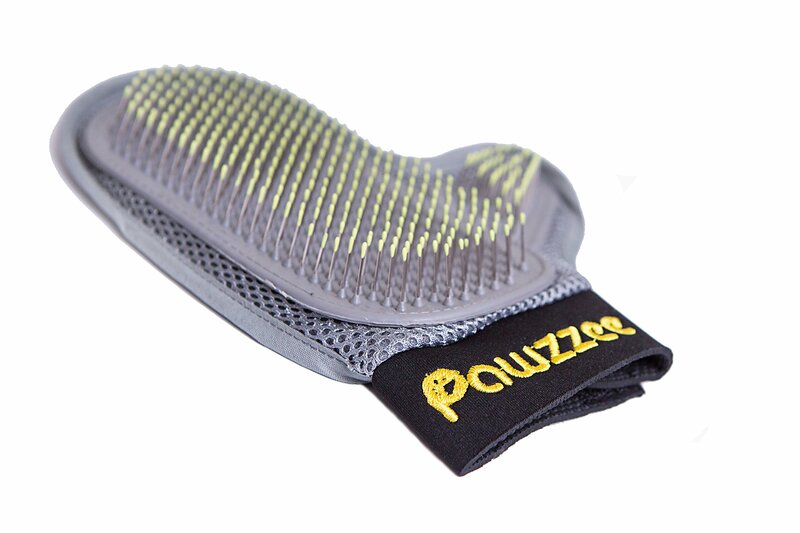 • OUR PROMISE TO YOU: The Pawzzee Pet Grooming Glove is carefully hand stitched and crafted to provide the ultimate glove quality as a deshedding tool. 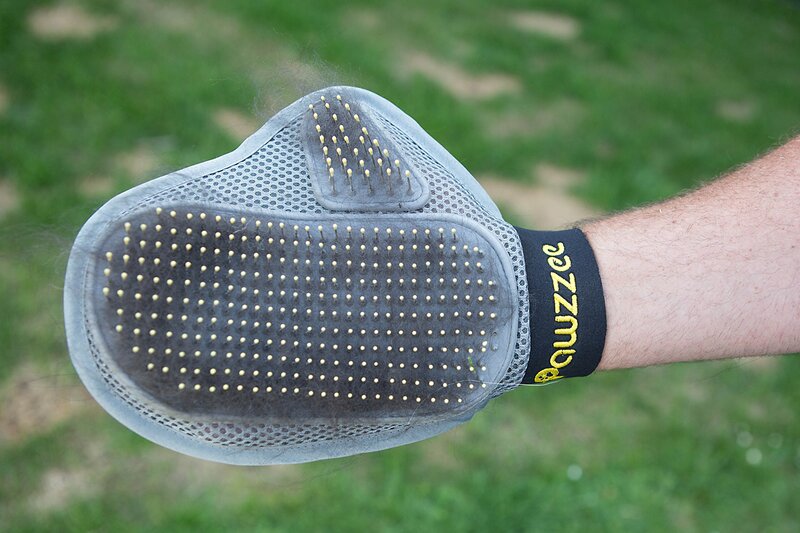 In fact we are so confident in the glove quality that we even offer a 2 year warranty in the event of any dissatisfaction. 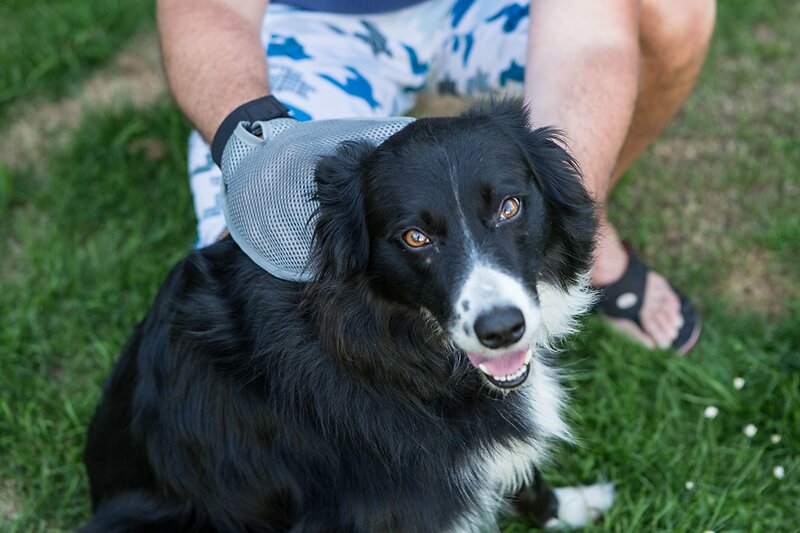 Our Brand Vision: Pawzzee specialises with products in the pet category that will provide a wide range of accessories, grooming kits, supplements, vitamins and many more. Our vision is to grow and expand our company portfolio brand for customers who can rely on top quality products for their pets at affordable prices. 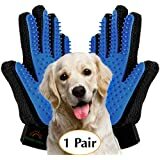 Good Quality & Performance: The Pawzzee Pet Grooming and Deshedding Glove is a right hand durable glove that contains stern steel bristles with rubber tips to provide a great all round message with a calm, natural feel for your pet. Very similar to your hand contact, it works beautifully to remove all long, thick, loose hair or fur effectively. 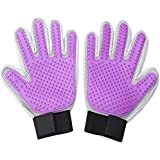 Comfortable & Washable: Our glove is a natural hand design fit for added comfortability and will work fantastically to also get a grip on loose hair in harder to reach areas during bath times. Suitable for most hand sizes, it comes with an adjustable and easy to use velcro wrist strap. 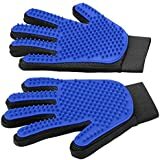 The high quality silicone and mesh material is waterproof and very durable for longer lasting use. 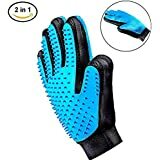 Easy To Clean: The shedded hair grips to the glove and is very easy to clean by simply peeling off the excess hair, and then throwing away… Job done!